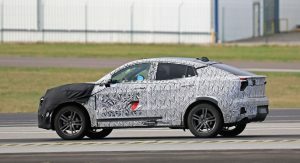 Lynk & Co has been spied testing its latest prototype of the 05 SUV Coupe, which is expected to debut at the Shanghai Motor Show next month. 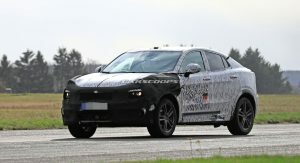 For those with a good memory, you’ll know that the Lynk & Co 01 was the Chinese mobility company’s first production model. 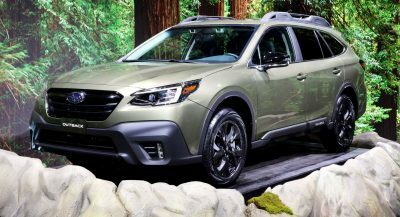 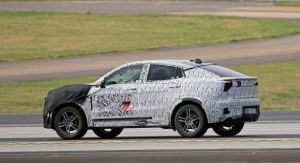 Rumored to be called the 05 SUV Coupe, the new company’s new model is a slightly sportier version of the regular 01 and joins the ever-growing trend of coupe-like SUVs. 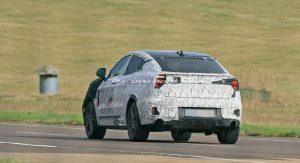 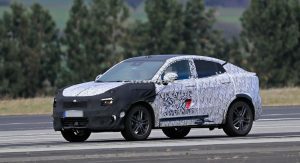 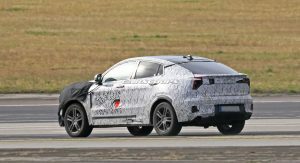 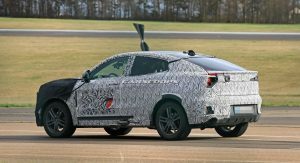 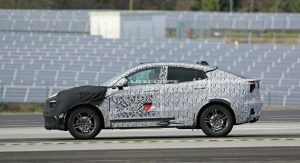 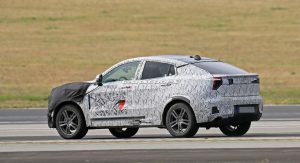 Our spy photographers first snapped the 05 SUV Coupe towards the end of November last year but that prototype was covered in thick body cladding. 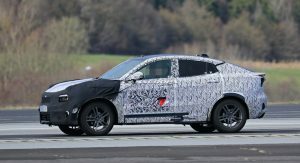 The following prototype features far less cladding and instead, has skin-tight camouflage across most of the exterior. 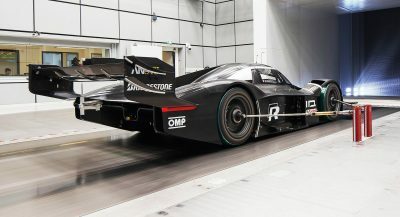 The most obvious point of difference between the 01 and the 05 Coupe will be the latter’s angled roofline. 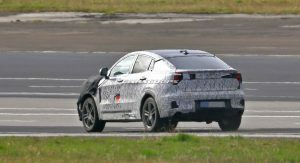 A set of dual tailpipes are also visible on this prototype alongside a small diffuser. 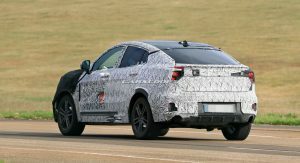 The taillights remain under wraps but they appear similar in shape to those of the regular model. 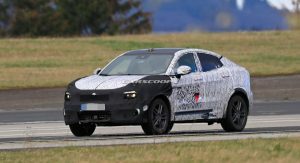 Depending on the market, the Lynk & Co 05 Coupe will be offered in a number of configurations. 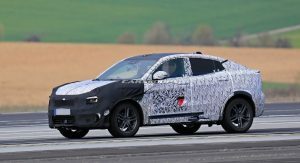 One of these models will pair a 2.0-liter turbocharged four-cylinder petrol engine delivering 187 hp with a seven-speed dual-clutch transmission and available all-wheel drive. 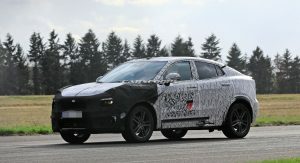 A plug-in hybrid version with a 178 hp 1.5-liter three-cylinder petrol unit accompanied by an 81 hp electric motor is also expected. 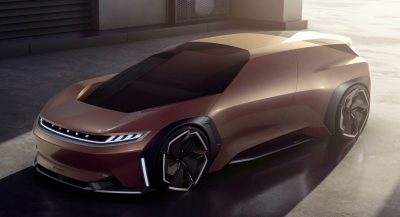 This model will offer an all-electric driving range of approximately 51 km (31 miles). 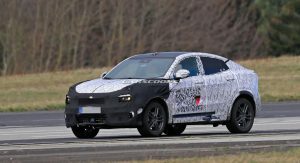 The Lynk & Co 05 Coupe isn’t the only new variant of the 01 currently under development. 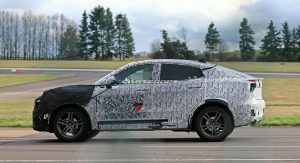 Recent spy shots revealed that the company is also working on a seven-seat version of the SUV. 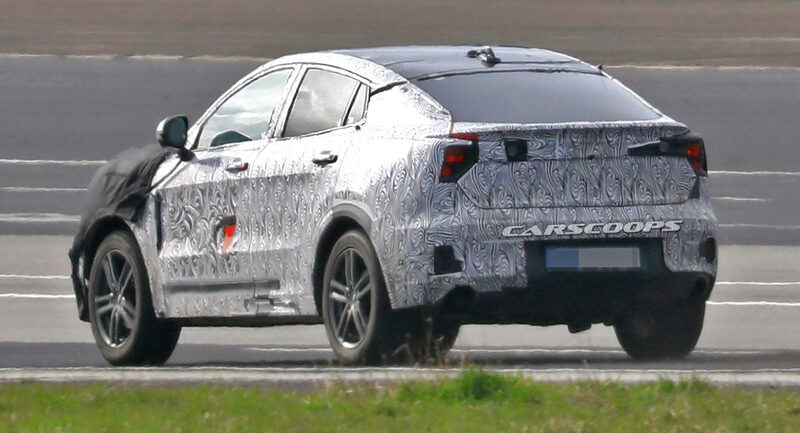 There’s a chance that the 05 SUV Coupe and the seven-seater version of the 01 will launch at roughly the same time perhaps towards the end of this year or in early 2020.